When was the last time you used “GOLD” as money. 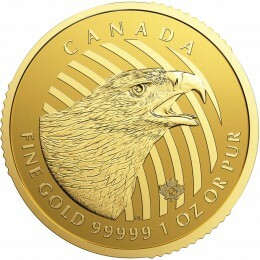 Try to go to the any store, flip a $5 US gold coin on the counter and watch the reaction. Gold is not in the real sense money. I will give you a $20 dollar bill and you should give me 4 $5 gold pieces and then I will say it is money. Just admit that currently GOLD is not money in the terms we use money. GOLD is not recognized by the money using public as money. It is a form of wealth as is currency and coin but GOLD is not now money. 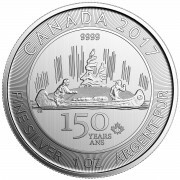 Silver coins at the store are only getting face value also. Try giving a silver quarter to a cashier and they will give you 5 nickels. Wishing GOLD is money does not make it so at least in the real world. I think we are playing with words here. But you do admit that gold is a form of wealth. 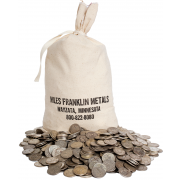 You may not be able to spend a double eagle at the grocery store, but you can send it to Miles Franklin and I will exchange it for over $1600 “dollars,” that you can spend at the store. I don’t own gold and silver because they are money, I own them because they have proved to be the best store of value (which is one of money’s most important attributes). Six years ago, when we designed and built our house, I could have traded 2000 ounces of gold, with my wholesaler, for enough dollars to buy the house. Instead, I chose to use an interest-only mortgage, 10-year fixed with a balloon. If I wanted to pay it off today, I can use around 625 ounces of gold, sold for dollars, to pay off the mortgage. I get to keep the 1375 ounces (from the original 2000). If I wait another year or two, I will be able to pay off the mortgage with a stack of 400 ounces or less. Gold may not be money, in the sense that I can’t give it to the bank to pay off the mortgage, but it is better than money, if you define money as dollars or euro or any other fiat currency. And don’t overlook the fact that central banks hoard gold as an official reserve and it is the only reserve that they hold, other than paper currencies. Gold may never circulate as “money,” but if you believe Jim Sinclair, it will eventually be a (partial) backing for what we call money, and it offers stability or lately (the last 11 years) more than stability. 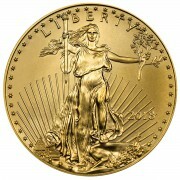 Would you set aside $100,000 in dollars for your retirement or 62 ounces of gold? If you say “gold,” then that really is all that counts. If you say “dollars,” then you haven’t gotten much of value from this newsletter.